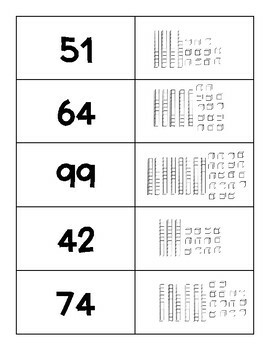 I wanted a way for my students to look at place value models and match them to the corresponding number in standard form. 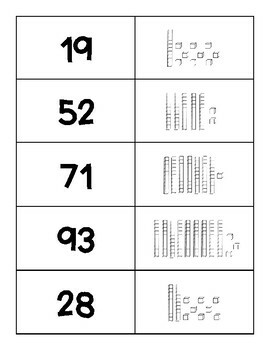 This set of 20 pairs focuses on tens and ones. 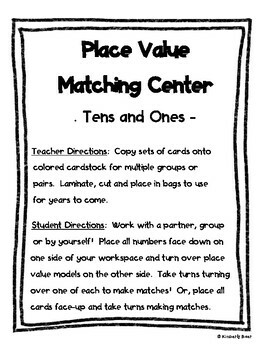 10 of the matches are basic models of counting tens and ones, and the other 10 include enough ones to which they need to regroup to make a 10 - for example 3 tens rods and 15 ones = 45. You can have the kids work alone, in pairs, or in a small group for this activity. A great math center for extra practice with hands-on models. 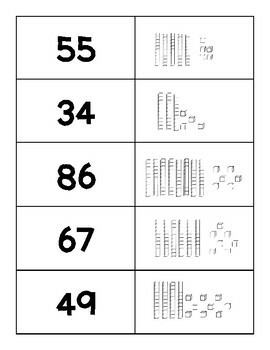 I also have a "Writing Numbers with Tens and Ones" worksheet which would be a great follow-up to this activity. Enjoy!